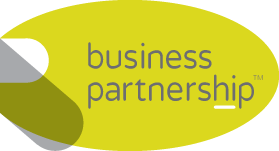 Selling a business in Ashbourne, talk to your local expert. If you are selling a business in Ashbourne, we can help. We bring years of professional expertise to ensure you get the very best value. We provide straightforward advice based upon our years of knowledge and experience of all aspects of selling businesses around Ashbourne. We help our clients who, just like you, want to achieve the best outcome when they sell their business. Renowned for being the gateway to the Peak District, Ashbourne is a very attractive Georgian market town located on the southern edge of one of the most popular national parks in the UK. Benefiting from a variety of independent businesses and retailers, Ashbourne is famous for its Royal Shrovetide Football Match which is played throughout the town on Shrove Tuesday and Ash Wednesday. With a strong tourism sector, Ashbourne is an inviting place to do business.